Owing to being very busy with work projects, and distracted in between by: lots of work on the house; failure of my longstanding mobile phone; broadband outages; and a couple of health problems—food poisoning a particularly exciting one, depending on your perspective.... Anyway, owing to all of that, I've not posted here much. But I will do so, and soonish! 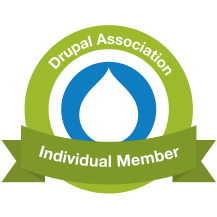 I've been working a lot with both Drupal 8 and Behat, so I'm sure I've got some interesting tales to tell. When I've got some time free. In the mean time, you could always read my gardening blog: most recently, I went to see more tulips than you've probably ever seen in your life.